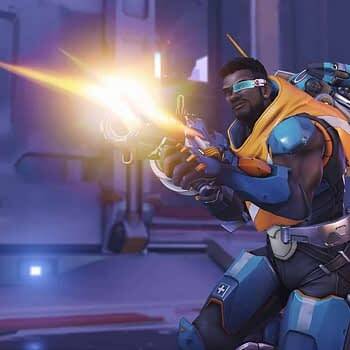 Overwatch has acted pretty fast to get people into trying out Baptiste and have included him in the game’s official PTR starting today. 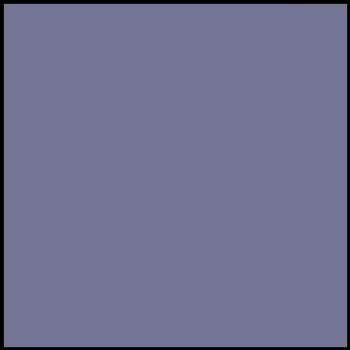 You can see photos, a preview view of his powers, and a description of everything he can do below. 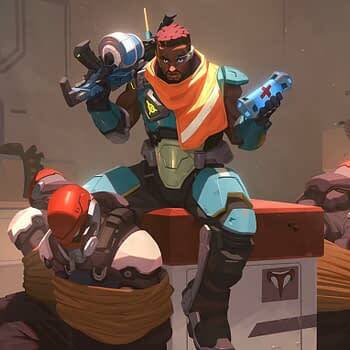 But after checking him out briefly, this looks like an amazing media character who we’re pretty confident the developers will nerf into oblivion before he reaches the main game. 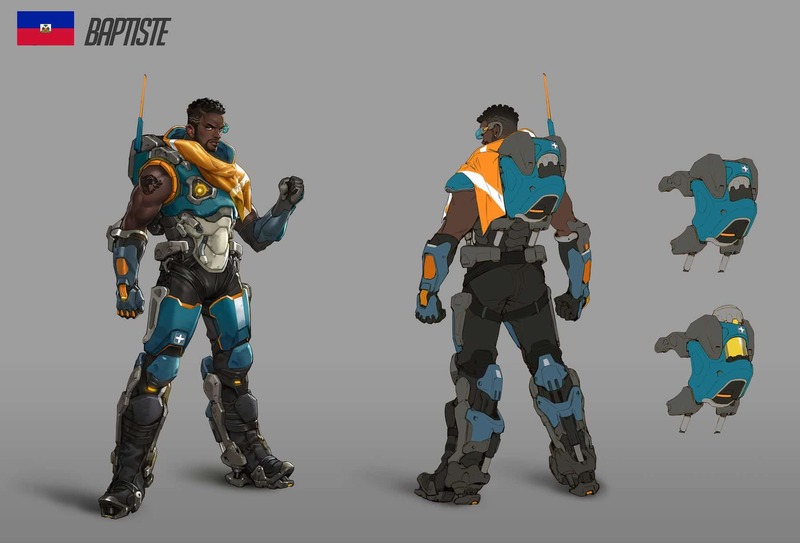 His Biotic Launcher is basically a grenade launcher that can do damage or healing. 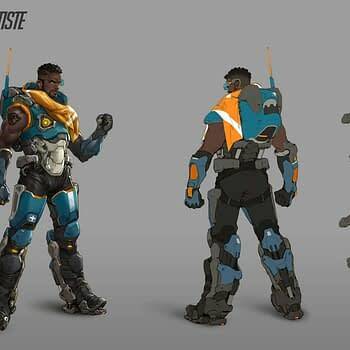 He also has a burst that acts like a healing EMP, a field that allows shots to pass through but do zero damage, Exo Boots that allow you to essentially double-jump, and an ultimate that allows double damage or healing when he shoots through a specific window field. 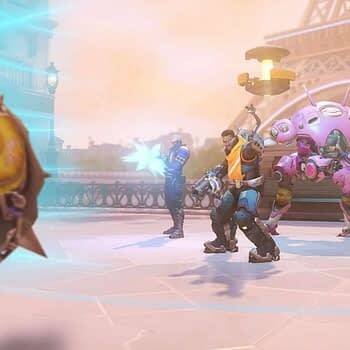 We’re curious if that doubles damage and healing for other characters, but the only way for us to know is to go test him out. 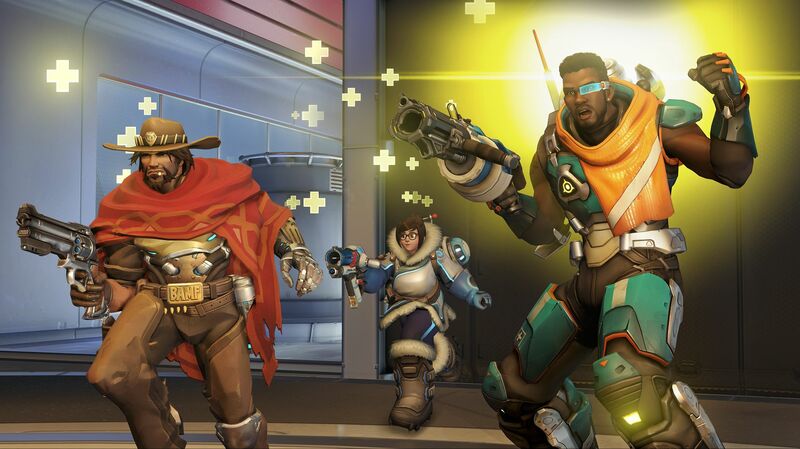 We’ll see you in the Overwatch PTR! "No dying on my watch." 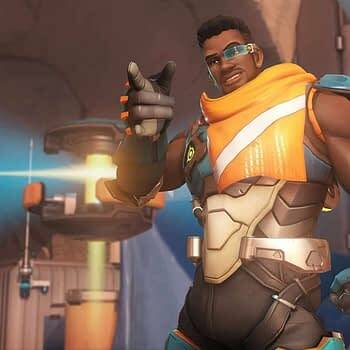 Get your first aid on Baptiste's abilities and playstyle. 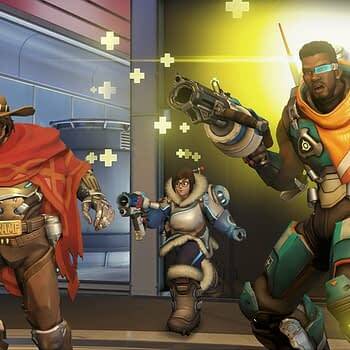 Now healing on the PTR! 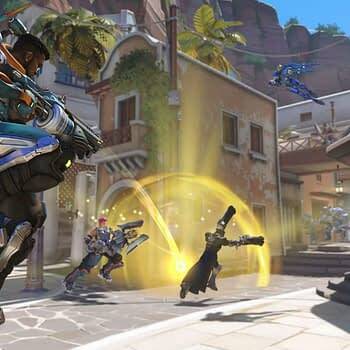 Baptiste’s three-round-burst Biotic Launcher rewards accuracy and recoil control with significant damage output. 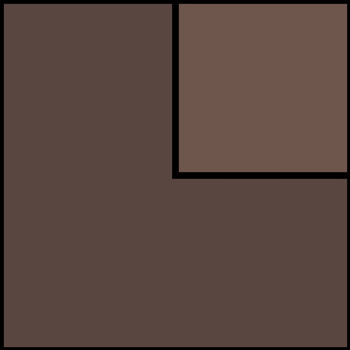 It also doubles as a healing device, lobbing projectiles that heal allies near the point of impact. 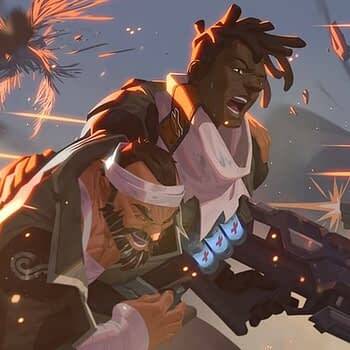 Baptiste activates an intense regenerative burst that heals himself and nearby allies over time. 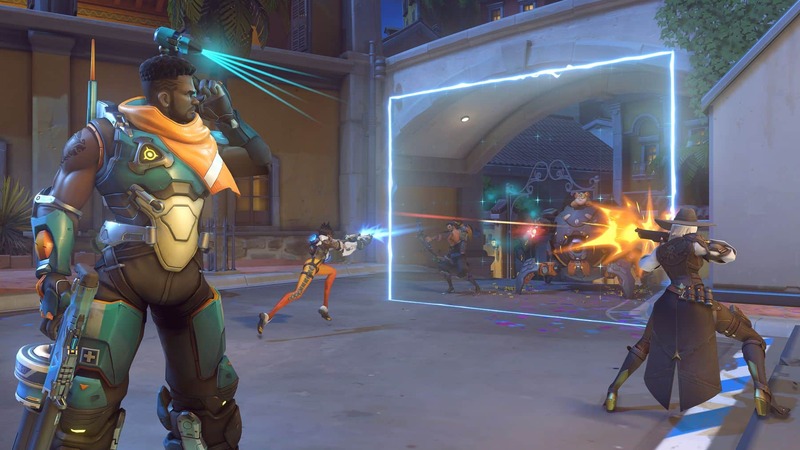 Baptiste uses a device to create a field that prevents allies from dying. The generator can be destroyed. 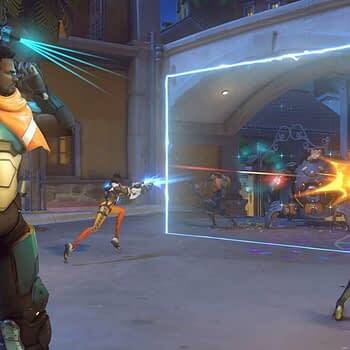 Baptiste creates a matrix that doubles the damage and healing effects of friendly projectiles that pass through it. 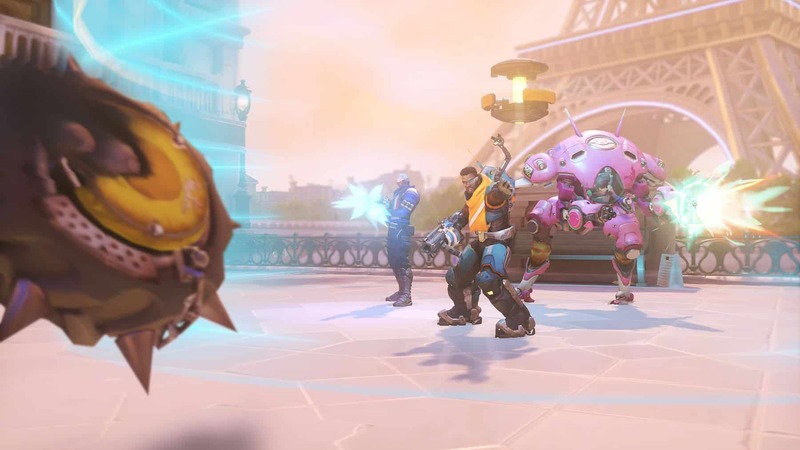 By first crouching, Baptiste can jump higher. 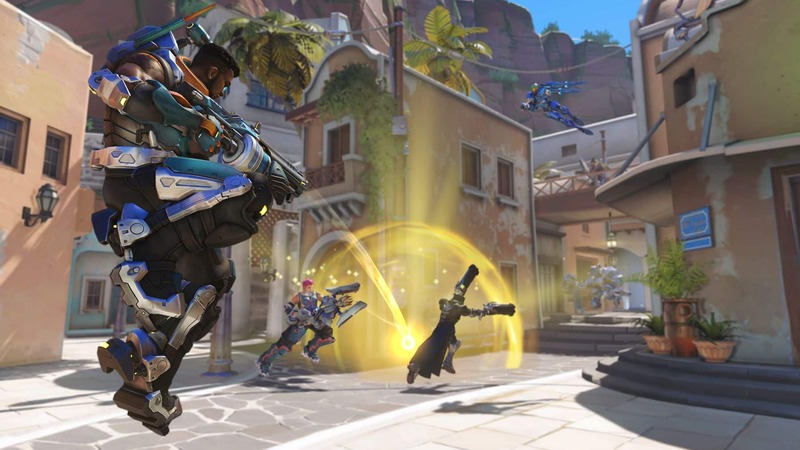 Overwatch Archives Returns Next Week With "Storm Rising"